What services does The Sklar Team offer buyers? We offer our buyers years of experi- ence, expertise and results. Whether writing a contract or negotiating a deal, our clients can always count on superior service and dedication. We listen, we return calls, we stay in touch. We provide thorough market analysis and consulting to our buyer clients. We maintain a large database of floor plans of every subdivision in Weston. We have closed thousands of homes through- out Broward County and are familiar with many neighborhoods, along with all the lifestyles and amenities that go with them. We leverage our widespread connections and resources to solve any issues from recommending a contractor to hiring an interior decorator. We provide personal boutique-style service to our clients, backed by the power of the global-leading Coldwell Banker brand. From the kitchen table to the closing table, we deliver excel- lence and exceed your expectations. 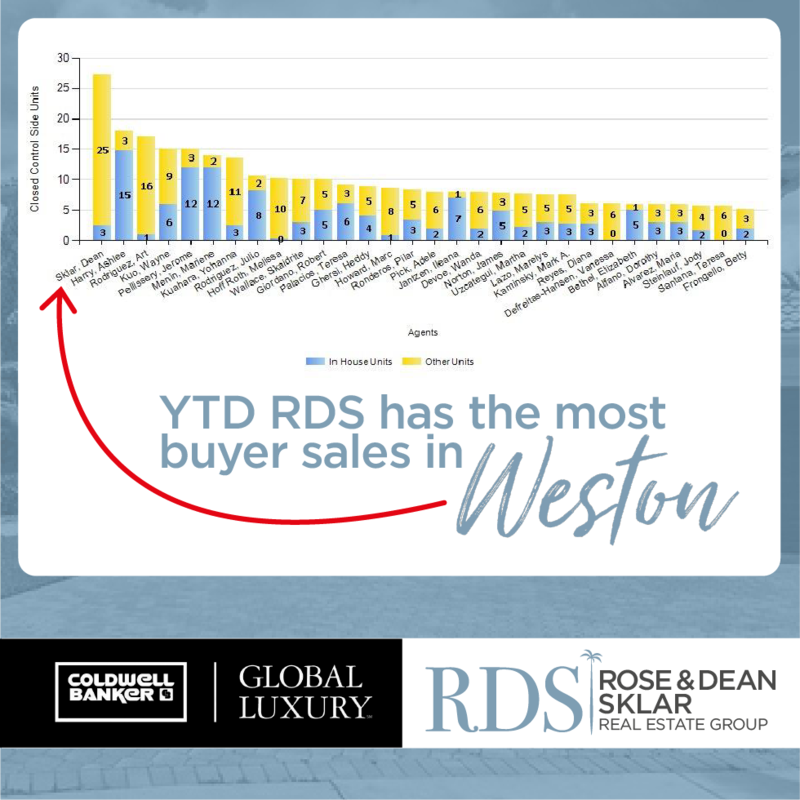 The Rose & Dean Sklar Real Estate Team specializes in residential real estate in the City of Weston and sur- rounding communities, with exper- tise in luxury, golf, new construction and relocation. In real estate, one size does not fit all. We believe every client is unique and every sales transaction is different. We love what we do and enjoy help- ing families find that perfect home. When you work with The Sklar Team, we treat you like family. We believe that real estate is a relationship busi- ness and not simply transactional. Our desire is to become our client’s source for all things real estate, for years to come.